I found a new store! 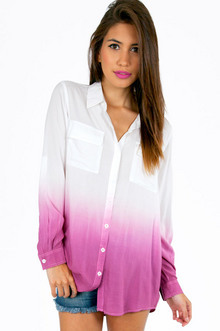 It’s called TOBI and they have AMAZING sale promotions. Thinking about signing up yet? Click the link here. Take a look at some of the items I’m thinking about buying. 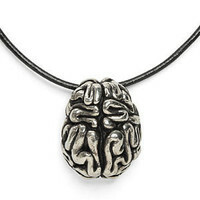 Anatomy is for Science Class, Not Jewelry!! Hey everyone! 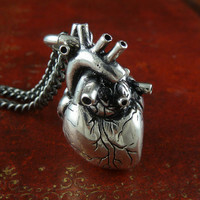 So i was looking around on Wanelo, and found these disturbing necklaces depicting the heart and the brain. And no,they’re not cute little pink hearts, they’re the real thing. I’m sorry, but i just think these are gross. Not my style you know? I can’t see how wearing metallic internal organs can be fashionable. Unless you like that kinda thing. Then go right ahead and grab one. Hey everybody! 🙂 Many of you have seen Kayla’s post, Excuse me… What Are You Wearing?, and many of you know how strange pop star Nicki Minaj is. Her style is well, um, different. But that’s just the way she is, so we accept it. But as I was looking through some of her looks, I saw some pretty scary dresses. Some of her outfits are just crazy! The first one? It’s just plain inappropriate. You can practically see…well… everything! and I’m not really sure what the second one is. It’s very confusing, and your eye gets distracted by all of the different components in the look. The third one just looks like she was drunk when dying her hair and was so hung over the next day that she forgot a shirt. And the last one… What is that on there? Looks like gum balls or marbles or something… Listen I’m not insulting who Nicki Minaj is. She’s very successful. But all I’m saying is that her wardrobe needs to be toned down. She’s very pretty, if only she’d wear something normal so we can see it and not be completely thrown off by what she’s wearing. 🙂 Hey everybody!! So, has anyone noticed this new trend? 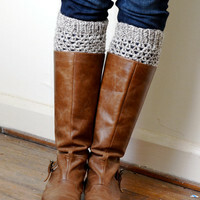 Boot cuffs! 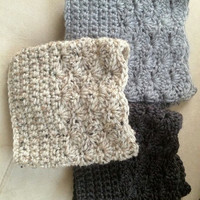 Boot cuffs look like this.You put them on at the top of your boot and tuck the end in. These cute things leave a very nice and layered look. And on Wanelo, (Don’t know what Wanelo is? Check out my article on it, Wanelo,) they have a real cute selection. I love these things. Check them out! Each pair goes for about 20-40 dollars, depending on the brand. Wanna get some? Click here.